Callaghan Square grew from a joint venture between MEPC and Rightacre, an influential developer in Wales. Answering the brief for smart and stylish office space, this attractive civic site completes the visual ‘missing link’ between other projects and The Bay. The plan was two-fold. 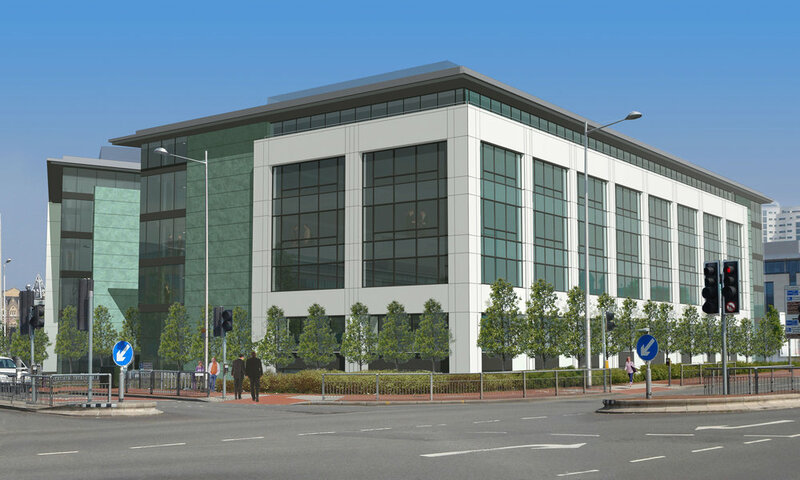 Phase One saw the building of 165,000 sqft of office space in three properties. Phase Two involved the erection of a purpose-built facility for the Open University. Close collaboration with multiple partners was key to success – from the Welsh Development Agency to the Welsh Design Commission. The result is a new and flourishing urban environment with considered spaces that are all fully let. Impressive details include a masonry façade which is load-bearing yet was also cost-effective and simple to construct. The offices and Open University spill out into lively cafés and restaurants, creating an energetic atmosphere in which to do business.